The Resource-Based View (RBV) has become one of the most popular ways to examine the impact of IT on firm performance. An increasing number of researchers are using the theoretical underpinning of the RBV to ground their research in investigating this relationship. This paper follows in this tradition by developing multidimensional measures for two dimensions of IT capability, inside-out IT capability and spanning IT capability. In this regard, the authors relate these dimensions to firm performance as profit ratios and cost ratios. Inside-out capability is the IT resources deployed from inside the firm in response to market requirements and opportunities. However, spanning IT capability involves both internal and external analysis and is needed to integrate the firm’s inside-out and outside-in IT competences. 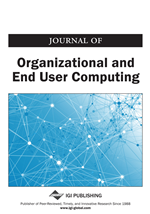 This study also makes an exploratory comparative assessment of the relative impact of inside-out IT capability and spanning IT capability, while analyzing the differences on the impact of IT capability in diverse types of organizations. Finally, the authors give evidence that different dimensions of IT capability may have different effects on performance measures. Two distinct research streams have emerged in the study of the relationship between information technology (IT) and firm performance (Barua & Mukhopadhyay, 2000). One stream uses production economics (Brynjolfsson & Hitt, 1996; Loveman, 1994; Roach, 1987) and the other stream focuses more on “process-oriented” models of IT value (Byrd & Turner, 2001; Cron & Sobol, 1983; Harris & Katz, 1991; Weill, 1992). Results from early studies in both streams generally found no significant relationship between IT and firm performance (Loveman, 1994; Roach, 1987; Weill, 1992). More recent studies in both streams, however, yield results that are in contrast with the earlier studies. These recent studies report a positive link between IT and firm performance (Barua & Lee, 1997a; Bharadwaj et al., 1999a; Hitt & Brynjolfsson, 1996; Lee & Barua, 1999; Menon et al., 2000; Mukhopadhyay et al., 1997; Rai et al., 1997). Three reviews of these results are Barua and Mukhopadhyay (2000), Melville, Kraemer, and Gurbaxani (2004), and Piccoli and Ives (2005). During the 1980s, many researchers and practitioners advocated using IT as a source of competitive advantage (Clemons & Row, 1991; King et al., 1989; Neo, 1988; Porter & Millar, 1985). During this same time and into the 1990s, companies such as Wal-Mart, FedEx, and American Airlines were touted as companies that had gained competitive advantage through the use of so-called strategic information systems (SISs) (Kettinger et al., 1994; Reich & Benbasat, 1990; Sabherwal & King, 1995). SISs were reputed to change the goals, operations, products, or environmental relationships of organizations to help them gain an advantage, at least temporarily, over other their chief competitors. However, despite empirical evidence that IT can give competitive advantage, many observers still remain skeptical. One prominent example of this skepticism is the publicity and notoriety of an article by Carr where he proclaims that “IT Doesn’t Matter” (Carr, 2003). In the article, he argues that IT is ubiquitous and available to all organizations much like electricity or other utilities. Since IT is equally available to everyone, it cannot be a source of competitive advantage, according to Carr. He asserts that IT can be easily copied and replicated and, therefore, is deprived of any ability to confer competitive advantage and differential benefits. In differing with Carr, authors of two recent review articles reason IT can indeed give a competitive advantage if the focus is placed on certain IT resources (Piccoli & Ives, 2005; Wade & Hulland, 2004). Using the resource-based view (RBV) of the firm (Barney, 1991; Barney, 2001), these articles explain how certain types of IT resources can meet the criteria set forth in the RBV theory for resources that give sustained competitive advantage. The RBV view states that organizational resources can provide sustained competitive advantage if they are (1) economically valuable; (2) relatively scarce, (3) causally ambiguous, (4) difficult to imitate, or (5) socially complex (Barney, 1991; Teece et al., 1997).